Distinguishing cardiac cirrhosis from ischemic hepatitis is important. The latter condition may involve massive hepatocellular necrosis caused by sudden cardiogenic shock or other hemodynamic collapse. Typically, sudden and dramatic serum hepatic transaminase elevations lead to its discovery. Although cardiac cirrhosis and ischemic hepatitis arise from distinct underlying cardiac lesions (right-sided heart failure in the former and left-sided failure in the latter), in clinical practice they may present together. 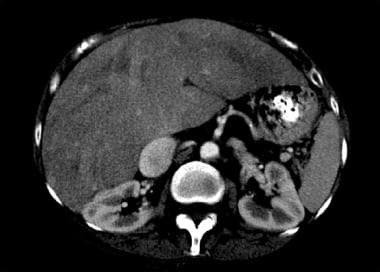 Despite its name, cardiac cirrhosis (which usually implies congestive hepatopathy that results in liver fibrosis) rarely satisfies strict pathologic criteria for cirrhosis. The terms congestive hepatopathy and chronic passive liver congestion are more accurate, but the name cardiac cirrhosis has become convention. For the remainder of this chapter, the term cardiac cirrhosis will be used to mean congestive hepatopathy with or without liver fibrosis. Decompensated right ventricular or biventricular heart failure causes transmission of elevated right atrial pressure to the liver via the inferior vena cava and hepatic veins. At a cellular level, venous congestion impedes efficient drainage of sinusoidal blood flow into terminal hepatic venules. Sinusoidal stasis results in accumulation of deoxygenated blood, parenchymal atrophy, necrosis, collagen deposition, and, ultimately, fibrosis. A separate theory proposes that cardiac cirrhosis is not simply a response to chronically increased pressure and sinusoidal stasis. 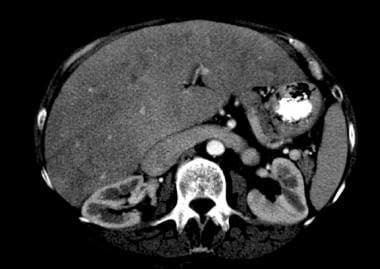 Because intrahepatic vascular lesions are confined to areas of the liver with higher fibrotic burden, cardiac cirrhosis may require a higher grade of vascular obstruction, such as intrahepatic thrombosis, for its development. Thus, thrombosis of sinusoids and terminal hepatic venules propagates to medium-sized hepatic veins and to portal vein branches, resulting in parenchymal extinction and fibrosis. Cardiac cirrhosis rarely occurs in the United States. Its true prevalence is difficult to estimate, since the disease typically remains subclinical and undiagnosed. The incidence of cardiac cirrhosis at autopsy has decreased significantly over the past several decades. This may be due to lower rates of uncorrected rheumatic heart disease and constrictive pericardial disease. The effect of cardiac cirrhosis on mortality and morbidity rates is unknown. The severity of the patient's underlying cardiac disease, which is typically advanced and chronic, is the major determinant of overall outcome. No published data exist. However, the prevalence of cardiac cirrhosis in the United States, like that of CHF, almost certainly increases with age. Moller S, Bernardi M. Interactions of the heart and the liver. Eur Heart J. 2013 Sep. 34(36):2804-11. [Medline]. Fouad YM, Yehia R. Hepato-cardiac disorders. World J Hepatol. 2014 Jan 27. 6(1):41-54. [Medline]. [Full Text]. Burns RB, McCarthy EP, Moskowitz MA. Outcomes for older men and women with congestive heart failure. J Am Geriatr Soc. 1997 Mar. 45(3):276-80. [Medline]. Shapira, Y, Porter, A, Wurzel, M. Evaluation of tricuspid regurgitation severity: echocardiographic and clinical correlation. J Am Soc Echocardiogr. 1998 Jun. 11(6):652-9. [Medline]. Yoo BW, Choi JY, Eun LY, et al. Congestive hepatopathy after Fontan operation and related factors assessed by transient elastography. J Thorac Cardiovasc Surg. 2014 Oct. 148(4):1498-505. [Medline]. Runyon BA. Cardiac ascites: a characterization. J Clin Gastroenterol. 1988 Aug. 10(4):410-2. [Medline]. Wanless IR, Liu JJ, Butany J. Role of thrombosis in the pathogenesis of congestive hepatic fibrosis (cardiac cirrhosis). Hepatology. 1995 May. 21(5):1232-7. [Medline]. Arcidi JM, Moore GW, Hutchins GM. Hepatic morphology in cardiac dysfunction: a clinicopathologic study of 1000 subjects at autopsy. Am J Pathol. 1981 Aug. 104(2):159-66. [Medline]. Fava M, Meneses L, Loyola S, Castro P, Barahona F. TIPSS Procedure in the Treatment of a Single Patient After Recent Heart Transplantation Because of Refractory Ascites Due to Cardiac Cirrhosis. Cardiovasc Intervent Radiol. December 2007. [Medline]. [Full Text]. Dichtl W, Vogel W, Dunst KM, Grander W, Alber HF, Frick M, et al. Cardiac hepatopathy before and after heart transplantation. Transpl Int. 2005 Jun. 18(6):697-702. [Medline].